If you have an interest in design and construction and enjoy working with details, a career as a civil engineer might be a great choice. These engineers work primarily in offices, but sometimes visit construction sites to monitor the progress of a project. A career as a civil engineer is an opportunity to combine design skills with supervision of large construction projects. Typical projects you’d supervise in this job include work on buildings, tunnels, airports, bridges, dams and water supply and sewage treatment systems, according to the Bureau of Labor Statistics (BLS). Some of these professionals work as city engineers or construction site supervisors. Others opt to go into teaching or research. Those who work on complex projects usually specialize as geotechnical, structural or transportation engineers. You must complete a bachelor’s degree in civil engineering to enter this field. Civil engineers who offer their services for pay publicly must obtain a license in each state plus the District of Columbia. In this profession, you’ll need skills in math, leadership, solving complex problems, project management and writing. The BLS expects 19 percent growth of civil engineering jobs between 2010 and 2012. This is an average rate. In 2010, 262,800 individuals held U.S. civil engineering jobs. They earned an average of $37.29 an hour, or $77,560 a year. The highest mean compensation in that year — $89,450 – went to those who worked for the Federal government. If you’re interested in becoming a civil engineer, employers will need you to oversee projects for rebuilding bridges, upgrading dams and levees and repairing roads as current construction ages. As the U.S. population grows, your skills will be important in projects to help clean waterways and maintain sufficient amounts of drinking water. Entering this profession requires a bachelor’s degree in civil engineering from a program approved by an organization known as ABET. Most students can complete on-campus college programs in four to five years. Some schools offer a bachelor’s degree in civil engineering online. With either type of education, you should make sure that any program you consider has ABET approval. The curriculum includes courses in math, statistics, fluid dynamics and engineering mechanics and systems. Computer skills are extremely important. Students normally participate in lab and field work in addition to courses in the classroom. If you didn’t take sufficient math or science classes in high school, your first step should be to tackle them at a local community college or trade school. After earning your bachelor’s degree, you’ll need to become licensed in the state where you plan to work. You can find information on earning a PE designation from the National Society of Professional Engineers. UTK indicates that in your first position, you should expect to be paired with a senior engineer. 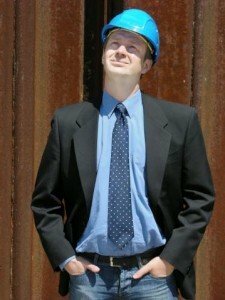 If you have passed the Fundamentals of Engineering Exam and meet state requirements, you will usually be an Engineer-in-Training or a Civil Engineering (CE) intern at this point. Responsibility gradually increases with experience on the job and continuing education. According to the BLS, around 20 percent of civil engineers have completed a master’s degree. If you want to work as a manager, you’ll need some type of post-bachelor’s education. The American Society of Civil Engineers offers certification in several specialties to licensed civil engineers.